Acting Attorney General Matthew Whitaker appeared before the House Judiciary Committee on Feb. 8. 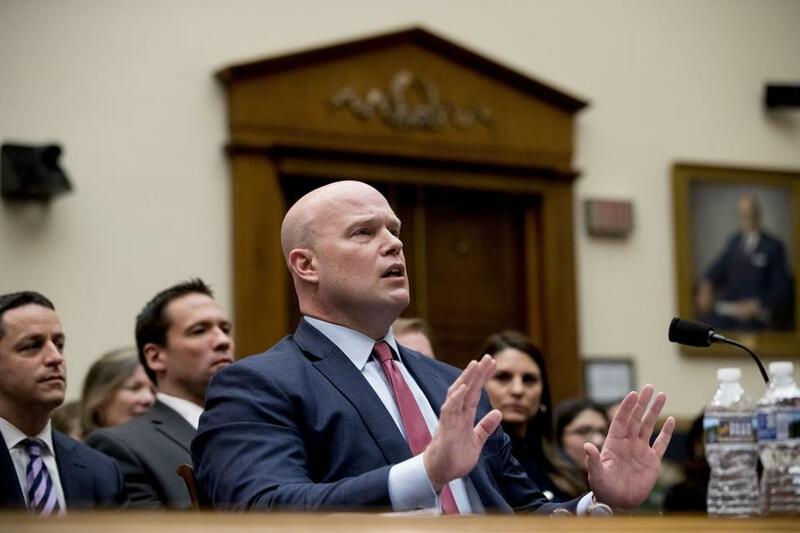 Acting Attorney General and piping hot spiral-cut ham Matt Whitaker left the Internet gasping on Friday over his notched up sass factor before the House Judiciary Committee, putting the AG in aggro by dodging questions about his bro-downs with President Trump and, in the most speed-dating-like exchange of the day, telling Representative Jerry Nadler, "Mr. Chairman, I see that your five minutes is up.” (He continued this Seiko-esque unsolicited timekeeper bit with Representative Sheila Jackson Lee.) At press time, the back and forth showed no signs of stopping, so I’m just gonna assume we got the answers we were looking for and it’s good to have this all cleared up. Elsewhere in federal shade, Speaker of the House Nancy Pelosi offered President Trump a really sarcastic-looking seal clap at the State of the Union address and the memescape just about lost it. It was the kind of clap you give your husband when he performs his biannual Washing of a Pan. Or the kind the mean girl in the movie gives the boy at the cheer squad audition when he falls and twists his ankle in front of everyone. (At least I think that was a movie.) In any case, that had to have burned a little. Also, heads up America: Lucille Bluth is third in line, and she has visibly had it. Emoji motherbrain Unicode announced a new round of freshly minted emoji this week, including 59 new symbols and 171 gender and skin-tone variations. The new symbols include a number devoted to people with disabilities (manual and motorized wheelchairs and service dogs) as well as the long-awaited (well, monthly) #Period Emoji, a single drop of blood that “may be used to signify a blood donation, bleeding, injury or menstruation” (and which arrives following a destigmatization campaign led by girls’ right group Plan International Ltd.) And while I expect waffles, axes, and mens’ briefs to find their way into my own regular nonverbal lexicon, expect big things (so to speak) on the national texting stage from pinching hand — which truly seems like a sign of the times. Finally, if you’ve ever wanted to name a roach after your ex and feed it to a meerkat, I’m pleased to tell you the Internet has removed all of the hassle from the process. The El Paso Zoo is promoting the “perfect Valentine’s gift” by soliciting the names of exes from around the world on its Facebook page, and preparing a grand feast for its hungry mob (the technical term). If that seems a little harsh, you can go with a Sydney zoo’s offer to name a snake after him. (Yes, him. I’m not even going to say his name.) I should throw in that you can always just focus on chocolate. You’re gonna be fine.